I just love, love this! Gourmet Fruit Bouquets make such beautiful and tasteful (ahem, tasty) gifts...they definitely beat the traditional (and somewhat old-fashioned) bunch of flowers! 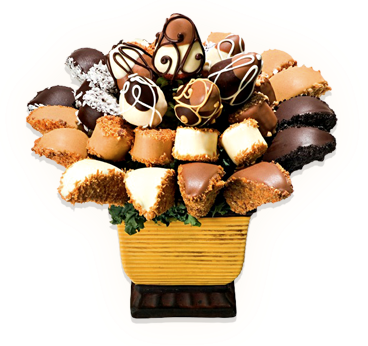 They would also make really funky centerpieces for your dinner party…and they can double up as the dessert? Who needs Masterchef eh? They are available in a range of exciting designs and sizes and are presented like a bouquet of flowers, only edible! Such a different gift idea...for any occasion! I was also pleasantly surprised at how affordable they are and they will deliver within a 40 km radius from their location in Sandton for only R 45. Here are a few options to whet your appetite…. A stunning bouquet with delicious honeydew, kiwi, hand-­laced strawberries and gourmet chocolate­‐covered strawberries. The Sweet Daydream comes with strawberries designed with the beautiful colors of spring. 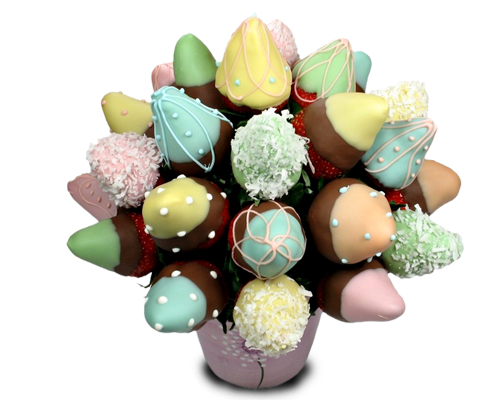 An ideal bouquet for kids and Easter. 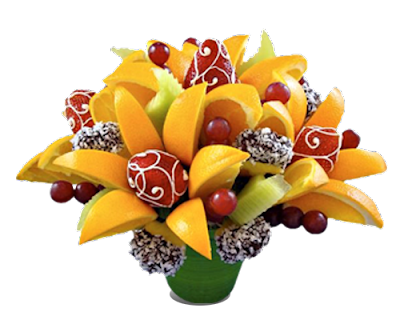 The tropical berry bouquet has delicately laced strawberries with white chocolate and inserted into orange petals. Surrounded by juicy pineapple flowers that have been dipped in dark chocolate and coconut. 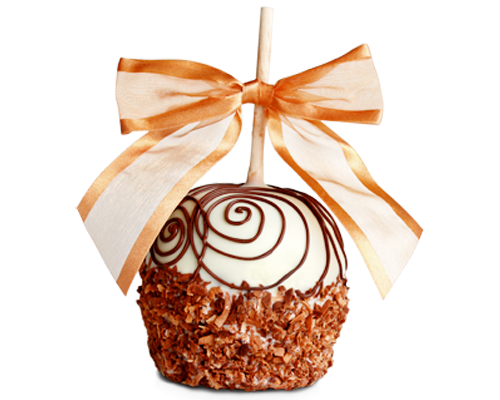 Apple Berry is a sensational bouquet filled with chocolate‐dipped strawberries and Granny Smith apples. 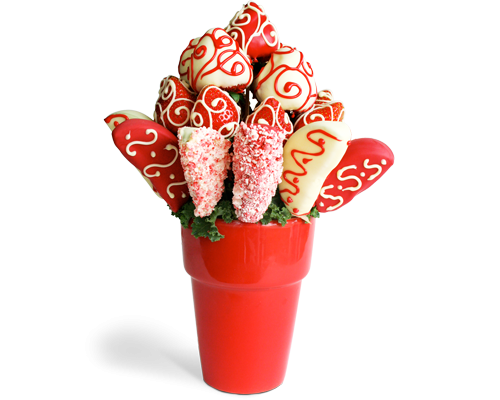 The combination of white and red chocolate makes this bouquet ideal for the special someone, and or occasion. 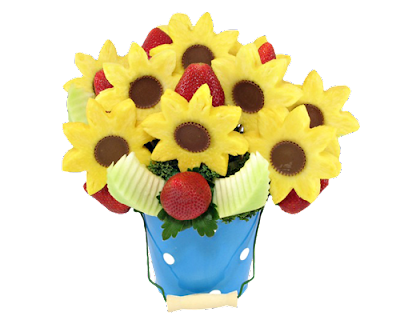 Fruity magic is a sensational bouquet filled with chocolate‐dipped strawberries, bananas, and Granny Smith apples. Bananas and apples are rolled in white coconut, toasted coconut, toffee and mint chocolate. 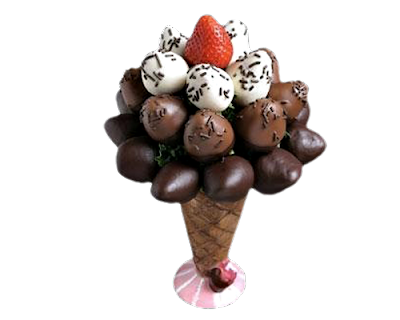 Double dipped strawberries are hand laced and sit atop this stunning arrangement. 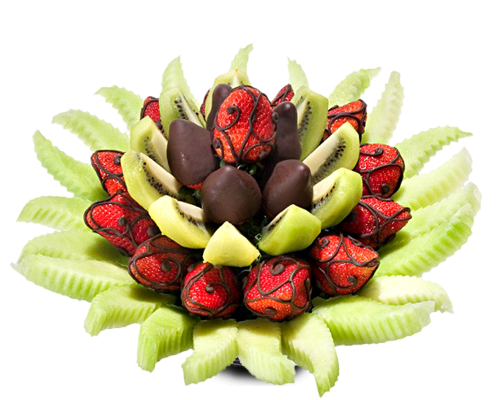 Irresistible delights of golden pineapple together with chocolate cups, strawberries and honeydew. 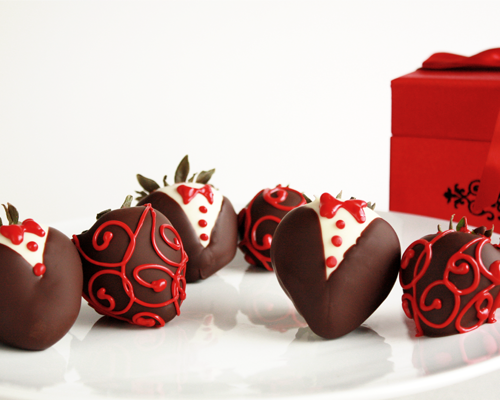 Dark and white milk chocolate dipped strawberries is the perfect treat for kids of all ages. Available in one size only. Container may vary. 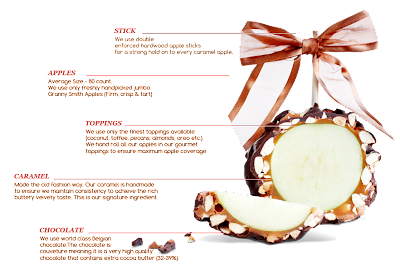 Our coconut delight caramel apple is made with only the finest jumbo granny smith apples. After they are coated in our home-made caramel we coat it with coconut and hand-laced in dark chocolate. How's THIS for a modern twist on the traditional candy apple! Yum!